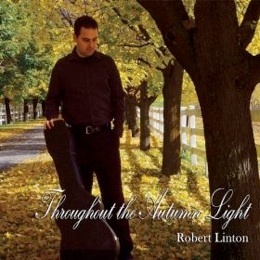 Back in 2011 the acoustic guitarist Robert Linton released the impressive Throughout The Autumn Light. From cover to music the theme was simplicity and what a winning formula it was making this recording an unassuming quiet sleeper hit. Being the first time that this reviewer had heard him, the surprise factor was now gone. Add on the fact that he was also having to follow up a strong recording there was a certain expectation that Beyond The Clearing would not live up to its predecessor. How wrong a conclusion this would be as Linton has followed up with another stellar release. Neither underwhelming nor overwhelming Linton has stayed true to the many winning ingredients of Throughout The Autumn Light. As a result Beyond The Clearing focuses on Linton’s concise acoustic guitar self composed songs that he co produced with Corin Nelsen. Add in some special artist friends such as Heidi Breyer on piano, Jeff Oster on flugelhorn, Jill Haley on English Horn, Jeff Pearce on EBow guitar and Sara Milonovich on violin just to name a few, and you have all the ingredients for another successful outing. 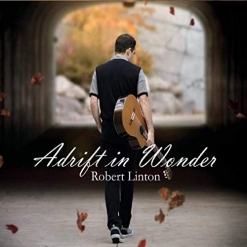 Nine duet tracks later there is no doubt that Linton has established him as one of the lead shepherds’ in the pastoral guitar genre. From composition to performance to production Linton has presented another laconic and unassuming recording which matches perfectly with Linton’s very subtle musical style. 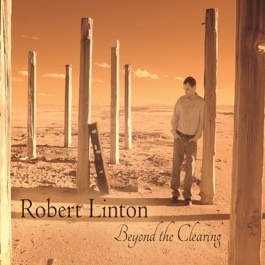 With consistency being the name of the game and no track standing out over the other, Beyond The Clearing is clearly beyond a doubt another impressive recording from Robert Linton.